A legal requirement for properties sold in Scotland is to have a Home Report available. This add on creates a space for these Home Reports to be uploaded and displays them on the website. 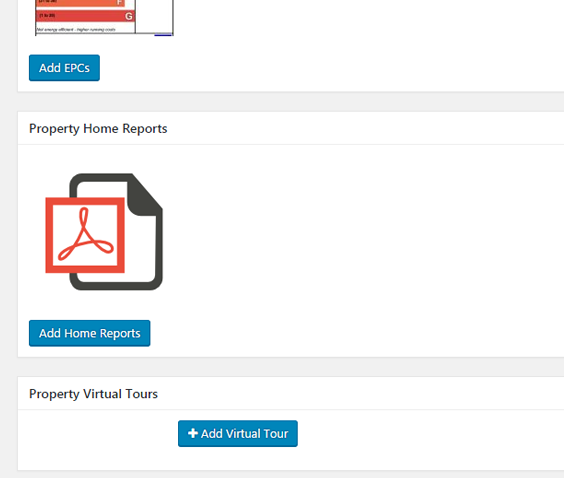 Once the add on is activated, estate agents based in Scotland can upload Home Reports to the property through WordPress using the familiar media upload tool..
Once a Home Report is uploaded to a property, it will become available for download immediately to your users.